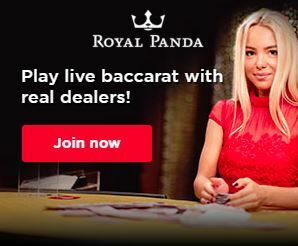 Live Baccarat – There are lots of untruths surrounding baccarat games. You may often hear that the three-card rule is too difficult to grasp, or that baccarat is a game only for superrich Asian players, and is thus, unaffordable. None of it is true, though. When you sit down to play Live Baccarat and its many variants, you can enjoy gameplay without having to worry about the third-card rule, and there are tables open for everybody, no matter their budget. As the largest developer of live casino games online, Evolution Gaming naturally has a vast collection of titles for you to play. A good number of those include live baccarat games. There are VIP table games, variants with slight tweaks on the rules, and some baccarat games which offer a whole new style of side-bet gameplay. Let’s take a closer look at some of the live baccarat games you can expect to find from this provider, starting with the basic game, simply known as Live Baccarat. Most of this developer’s baccarat games come with side-bets. It is common to find the Pairs side-bet in these games, and these can see players win 11:1 if they land a Player Pair or a Banker Pair side-bet. However, other side-bets can include Perfect Pairs, Player Bonus, Bank Bonus, and Either Pair, and some prizes can be worth up to 200:1 if you land them. Keep an eye out for Choice of Roads baccarat games, too, as these showcase the results of each round in Bead Road, Big Road, Big Eye Road, Small Road and/or Cockroach Road. These are ideal players who like to an in-depth analysis of the previous hands in their games. Baccarat – did you know? As you can see, there are plenty of Live Baccarat variants out there for you to play. By and large, though, they are all quite similar, with only a touch of rule changes about them. Most of this developer’s live baccarat games are streamed from Riga in Latvia. However, some of the VIP/Salon Privé games also come from land-based venues in Malta and Canada. All games can be played with multiple cameras, in HD video streams, and all are mobile-friendly. As mentioned, if you’re playing the right variant, you can also alter your cameras to take you to the heart of the action. Almost all live baccarat games feature 8 decks and random shuffles. Playing live baccarat online is a relatively simple process. There are plenty of variants out there, though almost all of them are played the same way. If you’re new to live baccarat, here is a brief how to play guide to get you started. The Bet: Players must first decide which hand they wish to bet on. You can choose to bet on the banker or the player hand to win. Alternatively, players can choose to wager on a tie, although this is the most unlikely outcome. The Deal: With the bets made, the banker will distribute two cards to both the banker and dealer hands. 2s through 9s are worth their own numerical value in points. Aces count as 1-point cards. All face cards and 10s count as 10-point cards. A winning hand will be worth as close to 9 points as possible. Unlike blackjack, a hand cannot go bust. If you have a hand which is worth more than 9 points (a Queen and a 7 would give you a 17-point hand, for instance), the first digit of the total is dropped. In our example, a 17-point hand would thus become a 7-point hand. Third-Card Rule: On occasion, a third card may be required. Should either the player or banker’s hand be worth 8 or 9 points (known as a Natural), no third card is taken. If the total of the player hand is less than or equal to 5 points, the player’s hand will receive a third card. If the banker’s hand is worth 2 points or less, they will take a third card. When the banker has a hand worth less than 3 points they will take a third card unless the player’s hand receives a third card worth 8 points. Now if the banker’s hand is worth 4, they will again take a third card, unless the third card in the player’s hand was worth 0, 1, 8 or 9 points. Does the banker’s hand is worth 5 points and the player’s hand drew a 4, 5, 6 or 7-point third card, they will take a third card. Has the banker a hand that's worth 6 points, they will take a third card only if the third card in the player’s hand was worth 6 or 7 points. Lastly, the banker stands on a hand worth 7 points and does not take a third card. After the drawing of third cards (if any are required) the hand which is closest to 9 points wins. A successful bet on a player’s hand will deliver wins worth 1:1. However, if you successfully bet on the banker’s hand to win, you will only receive 0.95:1 since there is often a 5% commission to the house on this bet. Successful tied bets are worth the most at 8:1. Baccarat has its good sides and its bad ones. There are more pros than cons, though. If you’re contemplating playing Live Baccarat, here are few reasons why it may (or may not) suit you. Even though most of the variants listed are incredibly similar, there is still quite a gulf between the experiences you can have, depending on what you’re after. Baccarat is not just for wealthy Asian players in Macao, or James Bond. Those hackneyed stereotypes will be broken just as you have a crack at Live Baccarat. You may find that it (and its many variants) suit you down to the ground.